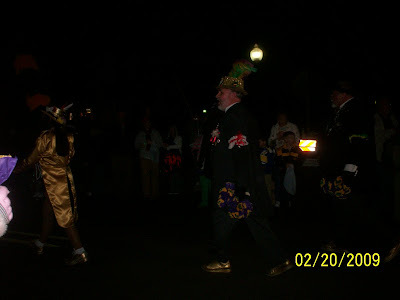 There is another Mardi Gras in Ocen Springs, Mississippi last night. 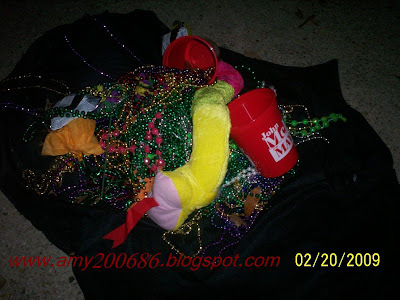 It is a short one but, we got so much beads. 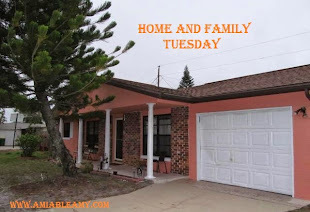 This is not mine but, this is owned by my niece-in-law Amy, yap, we have the same name. She is very pretty and her teenager daughter is like her beauty, beautiful women. Anyway, one of the floats in the parade. 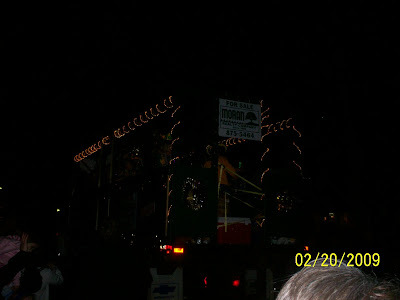 The floats are gorgeous but, I am using a Kodak camera C130 so, this is what happened. I can't adjust to night setting. I know not so much to see in the picture. Those lights are coming from special beads that glow in the dark. Unluckily, I never catch one. I always cover my face, people are enthusiastic to catch the beads and I don't want to be hit by it. I let my hubby catch them. This picture is a little bit okay. The floats this time are more nicer and more extra ordinary. They decorate it good. Some men in costume. They are holding a flower made of paper mache. Once they get near you, they will hand over the paper flower and you have to kiss them in return. Pretty neat ha? See the beads hanging? That is what they give to the crowd. 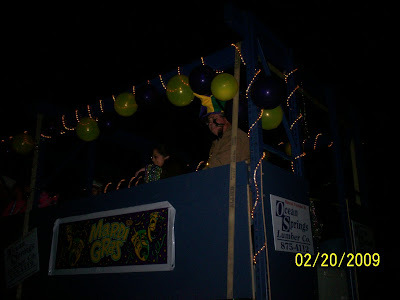 Sometimes, they have strategies like they wanted the crowd to cheer then they scattered beads , toys and moon pies. So, the crowd really went wild just to catch the beads. 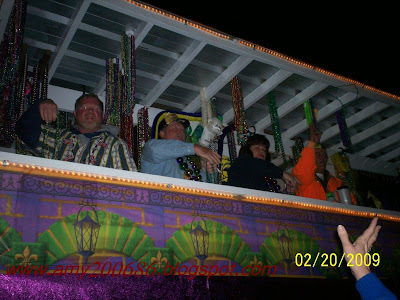 The people who gives away beads registered themselves to join the parade. 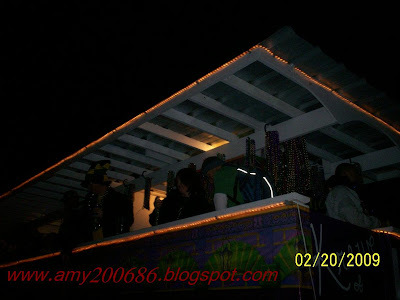 Plus, they have to decorate the float, then, have enough man power to give away the beads and other paraphernlia. My sister-in-law said, it is really expensive because you have to buy the beads to throw too. 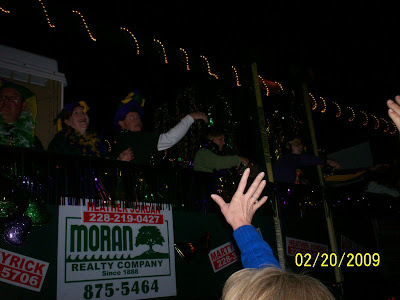 The longer the parade, the more beads you budget to throw. Some people who are in the parade are wearing wigs, costumes and make up to look unusual. 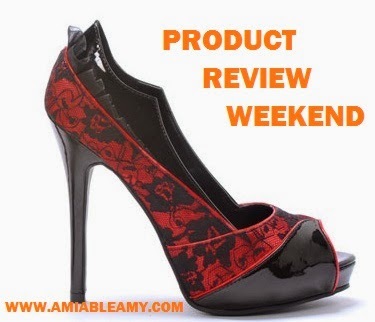 I find it very artistic and fun. They have to go all the trouble just to look amazing to the crowd. 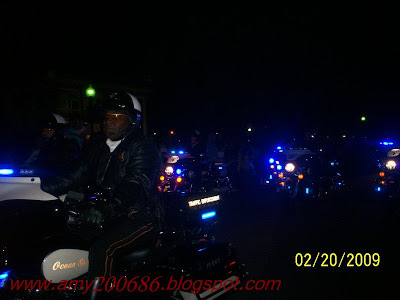 Then, here comes the policemen.The lights of their motorcycle is reallly grand. They open the parade. So, more pics to come tomorrow. We will be going to another city...heyeyyy! Another mardi gras. 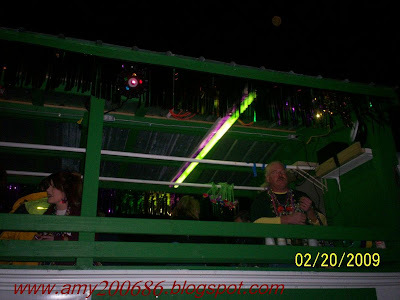 This is a Mardi Gras season by the way and if you wanted to know the history, I posted it before. Check out my archive.